The sitters are left to right Baron Marochetti, Miss Vincent, Henry W. Vincent Esq. Miss Harriet Vincent, Mme. 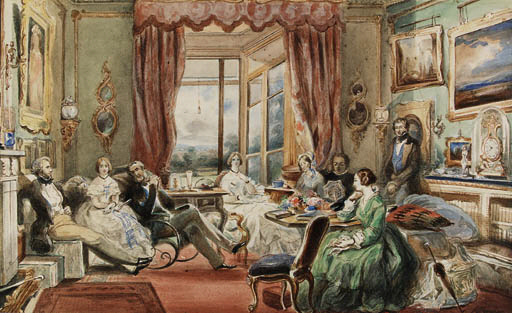 Humel, M. Lami, the artist, the Earl of Effingham and the Countess of Effingham.